We have been in business since 1996. We have 19 years of experience in the promotional market. Astrolink offers a wide range of products, both clothing and gifts with great branding opportunities, as well as excellent service and delivery. Astrolink offers No Limits! No Boundaries! Just Imagination! If you are looking for different, creative and imaginative ideas give us a call and we will source and create whatever your mind can conceive!! Astrolink was established 19 years ago in Durban. We have been servicing customers in the corporate arena for the past 19 years. Astrolink is a level 4 BBBEE company and a very successful corporate/promotional clothing and gift supplier. 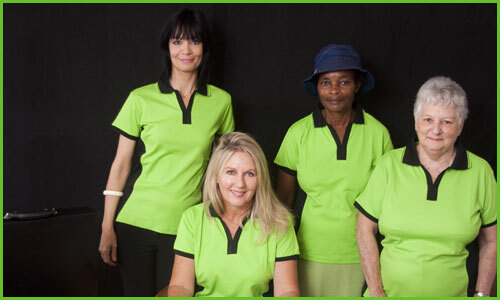 Julie, Viv, Gaylene, Jani and Lindy who operate out of our morningside office in Durban. Our transport partners are Logistical Distribution Services ( LDS ) who have been our courier partners for the past 12 years. We deliver nationally as well as internationally. To provide quality, value for money merchandise that is both innovative and unique yet provides good branding opportunities for our customers. We are constantly seeking to break through new frontiers in the corporate gift and clothing markets. If you are looking for an innovative, reliable promotional clothing and gift supplier who has had 19 years of experience, with an outstanding track record to ensure that your requirements are met Astrolink Technologies is well placed to service your gifting needs.